For this article we’ll assume you have an existing basement or some other room you’re using and want to know how to soundproof your studio. You’re likely concerned with keeping sound in or out to keep the family happy or avoid stray sounds ruining your recording. Or you’re interested in cutting down reverberations and echoes to make recordings cleaner. We’ll cover both aspects and we’ll try to keep things tailored to cheaper solutions. If you’re in a particularly noisy area and you’re looking to do some professional-grade recordings you may want to look into soundproof booths. You’re not going to get an entire band in one but if it’s just you they’re perfect. If you go with a prebuilt sound booth you’ll end up spending less and get a much better result. Trying to soundproof an existing room is challenging in a noisy area since you’re stuck with the way the walls are built unless you plan to do a lot of construction work. You may be inclined to purchase a load of cheap studio foam and place it all over your walls and ceiling. This is a great solution if you’re planing to do some recording and it may help a bit for reducing sound coming into your studio since it’ll cut down on it reflecting around. It won’t do much though for keeping sound in. Mass is what will stop sound and foam hardly has any mass at all. Have you ever noticed the difference a heavy solid door makes when compared to a cheap hollow door when it comes to sound? The hollow door does little to stop the sound. A solid door really deadens it. Mass makes a big difference. In addition to mass, air gaps also help stop sound. When thinking about methods for soundproofing it’s beneficial to have an air gap between mass layers. A product like MuteX Ez Stick Soundproof Material incorporates a mass layer with foam that acts like an air gap. 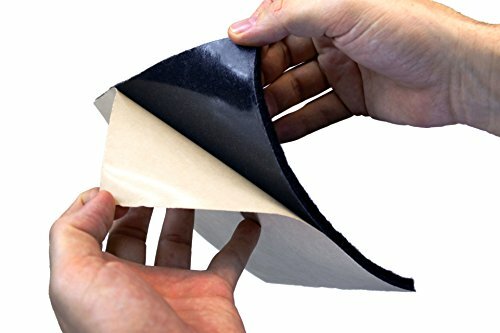 By applying this material to a wall or ceiling it can make a massive difference in the wall or ceilings ability to pass sound. Since mass is the solution to stopping sound you might consider constructing a walled off section within your studio room. You can use a good soundproofing insulation like Roxul’s Safe’n’Sound in-between the studs and you can build a ceiling and floor into it as well. Line the inside with cheap studio foam to cut down on reverb and echoing. For best results you’ll want to create a double wall with an air gap in-between. 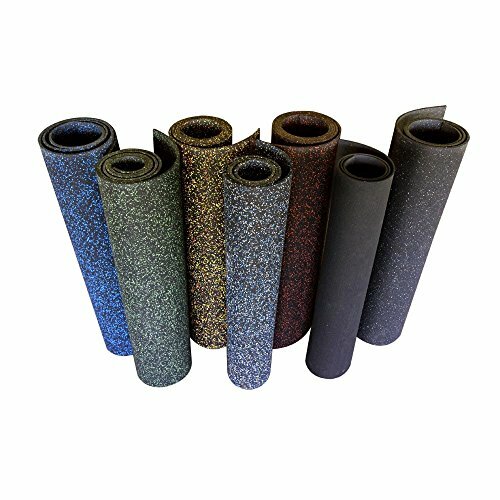 Rubber Cal Elephant Bark Floor Mat would be a good example of a product to lay on top of your floor to significantly reduce sound penetrations into your floor. If you have windows to deal with you’ll want to cover those up as well. Glass is very reflective and if you’re trying to record it can be a challenge. If you have neighbors complaining about the noise windows will be the first thing to address. If you don’t want to simply cover up the windows for whatever reason there are many great suggestions in my article titled How To Soundproof Windows – Cheap Alternatives to Replacing Windows. If you need to know how to soundproof a room for drums the best bet is to start with a drum booth. Drums are a real challenge. You can build a room within a room but if you’re only trying to deal with the drums themselves a drum booth will likely be more economical. There are plenty of different soundproof booth solutions available. Everything from a tiny box to place a mic in for vocal recordings to large booths with doors to hold you or a couple people. 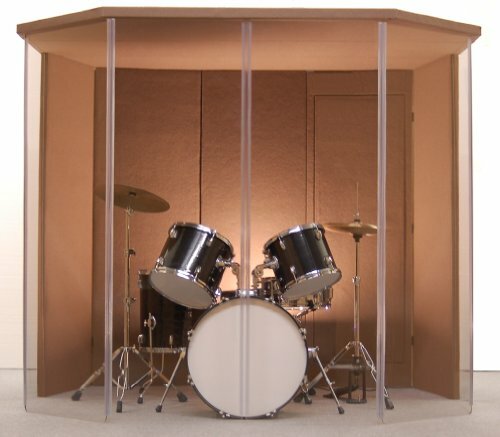 There are also soundproof booths for drum kits which are especially helpful since drum sounds are so difficult to tame. What’s great about soundproof booths is that they are built to address isolating sound from every direction. This is practically impossible in an existing room. It’s expensive to attempt to seriously recreate even in new construction. Even at a couple thousand dollars they’re a bargain compared to the alternatives assuming they meet your needs. 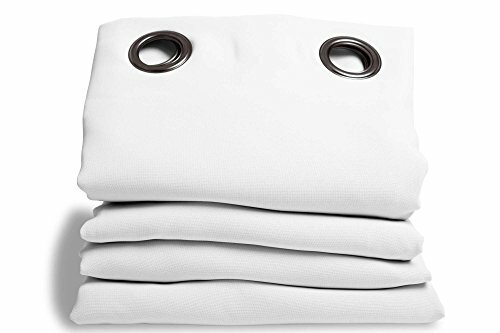 Probably the cheapest solution is to get as many blankets as you can and hang them on the walls or ceiling. If you’re trying to keep sound in and away from the family put them on the walls or ceiling that connect you to them only if you don’t care about neighbors and things outside. If you’re trying to cut down on echoes and keep sound you you may want to make a smaller section within your existing room that is just big enough for your needs. You can hang the blankets from the ceiling to create a partition or build a framework to hang them from. Another idea is to get some curtain rods and soundproof curtains and place them around the area you will be using as your studio. You don’t have to do the entire space. Just strategically place the curtains to achieve the goal you’re shooting for. If you want to keep sound away from the family then you’ll need to place it on interior walls. If you want to keep in from going outside you’ll definitely want to place them in front of windows. Dealing with annoying noise isn’t hopeless. You don’t have to go all in on tearing open a wall and spending thousands trying to eliminate sound penetration. Sealing windows and doors, some acoustic art panels, and soundproof curtains can be a relatively inexpensive investment and easily installed while providing a significant reduction in noise problems.